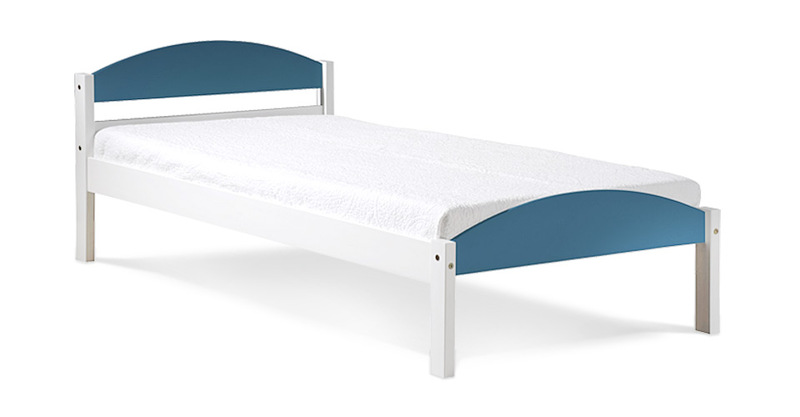 The Maximus Bed Frame by Verona features a simplistic design with a feature headboard and footboard and can prove to be an asset for use in childrens rooms or guest bedrooms. The minimalistic approach to the bed frame helps to maximise the space you have available in your room. The Maximus Bed Frame by Verona is made from pine which ensures a long lasting and sturdy construction. Please quote this Products's code 81009B to speed up your query if related.